From the Teldeschi Ranch, this year’s Dry Creek Syrah has a bit of a twist – Petite Sirah! 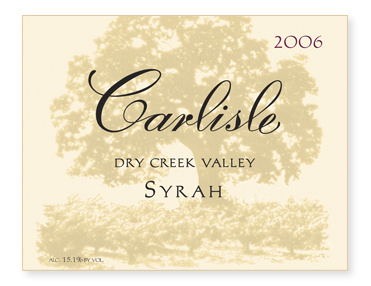 We found that a small amount of Petite Sirah added volume and texture to the mid-palate, making the wine more complete. The magic of blending! Aged in all French oak, 50% new, the wine was given a light egg white fining before being bottled unfiltered.